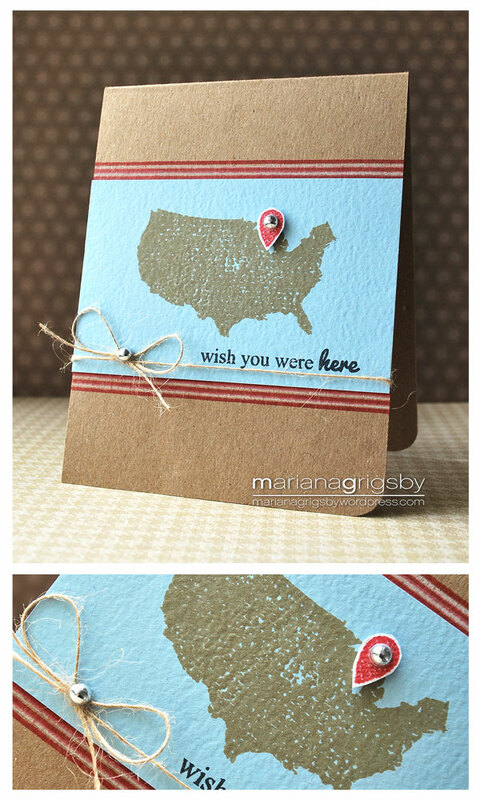 Today I want to introduce you to Geotagged. It's one of my favorite sets because of the iconic images and its modern feel with nods to social media today. We thought it'd be such a fun hello, how are ya kind of set. 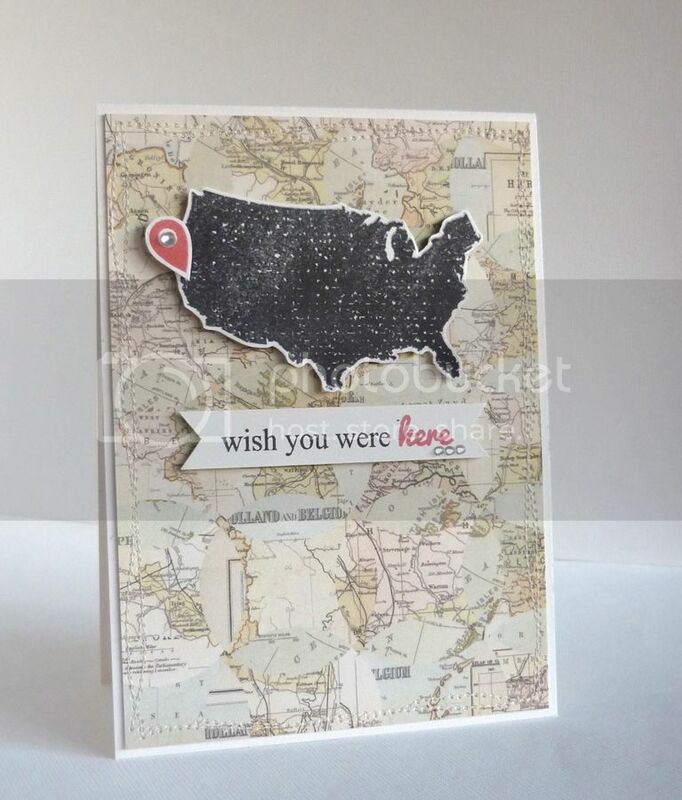 We love the distressed US map and instead of traditional flags to mark your location -- we sought inspiration from the likes of Facebook and included the geotag symbol. The fun part of this set come sin the build-it-yourself luggage options we've included -- from the cute and chic polka dot pattern to the look of worn and vintage luggage with the distressed image. To add to the fun, we've designed some stickers for you to slap on your luggage. Isn't the Amtrak one so cute? In my card here, I pulled together a few sets to work with the luggage. 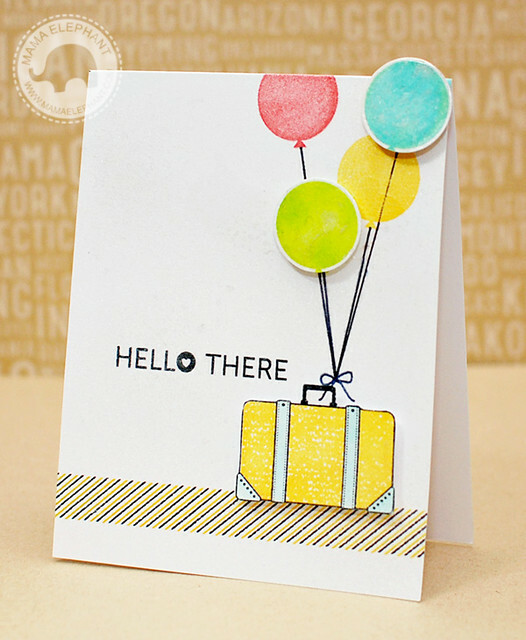 Balloons, bow, and sentiment are from Good Times, and the diagonal border is from Basic Borders -- stamped twice, once in yellow and once in black. Let's see what our talented Design Team is up to!